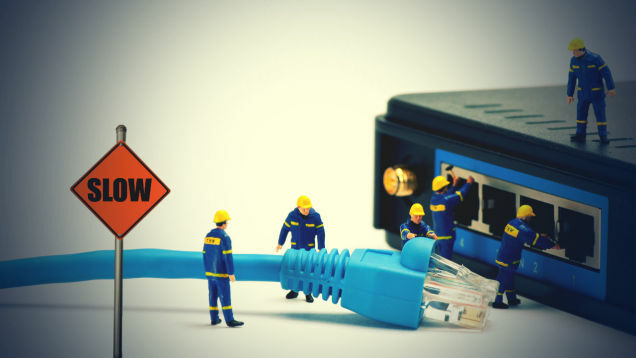 “Is my internet being throttled?” Most people will have experienced a slowing down when they are using the internet and may well attribute this to the increasing popularity of the web. However, this is not always the case. It is a little known fact that many internet service providers and wireless carriers deliberately slow down access to limit the amount of data you can download. There are two common ways of doing this. Many consumers choose an unlimited data plan as part of their internet package. This ensures they do not have to worry about how much information they download. However, it has become common practice for all ISP’s to slow down the download speed of those users which have unlimited data packages. This internet throttling usually occurs when the consumer uses more than between three and seven gigabytes of data in a month. The exact figure will depend on your provider. The more traffic on any given line or site the slower it will naturally become. An ISP can increase the traffic by adding firewalls, traffic shapers and even censors onto the users account. They can also use a redirection technique to manipulate your route through the web. Most of these practices are invisible and will not be noticed by the average user. It is quite possible to have your internet speed drastically cut and not know why. Information is essential to dealing with these issues. Regardless of which technique you carrier is using you will need to monitor internet speed and then tackle your ISP with the facts. The following two methods will show you how best to see if your usage is being throttled. Download a speed test app; such as Ookla’s, an authoritative source for global internet metrics, which is free for iOS, Android and Windows Phones. 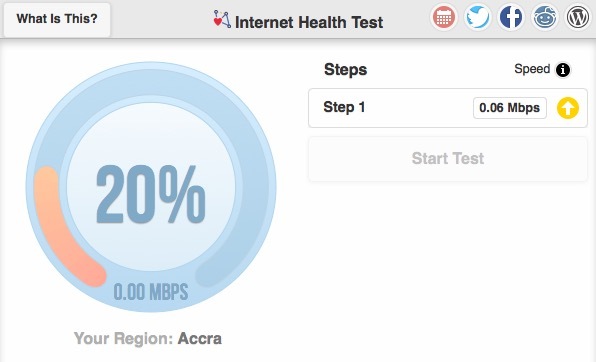 Work out when the start of your billing cycle is and run several speed tests in the first few days. It is essential to take these at the very start of the billing cycle as this is before any theoretical limit. At this point and for the rest of the billing cycle run frequent speed tests; at least daily. Whenever you run a test it is advisable to run several back to back and keep a record of the average speed. Compare the results and you will soon see if you have had your data restricted. If you are experiencing data throttling or throttling internet then it may be necessary to conserve your data or to consider moving to a limited data plan with a high data allowance. In either case you are advised to consult with a professional in the field. Go to the Internet Health Test website, it can be accessed via a quick Google search. There will be a link displayed on the front page telling you to “start the test”. Click on this. You will need to confirm your location. The test should only take a few moments and will then show a results screen. It should be noted that this software is aimed at the US market so may not be 100% accurate for other parts of the world. However, it will be precise enough to show how good you connection is and whether there is any degradation. Do this whenever you feel that you’re paying for internet speed but you don’t have speed. You will need to run this test several times throughout your billing cycle to assess if there are any significant changes to your connection. Recording your data will assist if you need to tackle your ISP or carrier. Is your internet provider throttling your data?